Dynarex Alcohol Swabsticks are each saturated in 70% alcohol. They are ideal for cleaning the skin prior to injections. Each packet has 3 swabsticks. 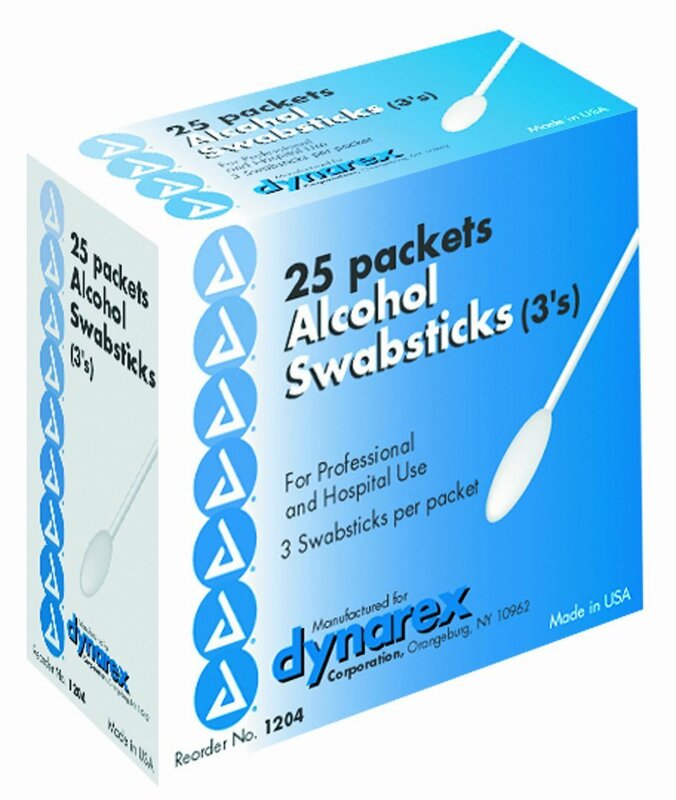 Each box contains 25 packets for a total of 75 alcohol swab sticks per box. # 1204.